Although a caregiver’s work varies with different sets of duties each day, some basic tasks remain the same when caring for a parent or senior loved one. Know those home healthcare services in Nassau County of a caregiver in this blog before you hire them. Transporting the seniors to the place they have to be is one of the familiar and essential caregiving tasks. The caretaker will adjust themselves as necessary for the parent, or senior loved one that you’re caring for. The Home Healthcare Services in Nassau County includes preparing meals. The caretaker helps your parent by doing their grocery shopping, monitoring their nutrition and prepares their meals. 3. Preparing a Care Plan That Addresses Your Senior Loved One’s Strengths and Weaknesses. 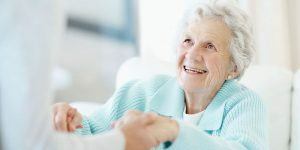 The caretaker creates a personalized plan that best fits each client, considering whatever needs they may have medically, physically, and socially and connecting them with the perfect companion to provide them. Maintaining a home takes more time as we age and become less active. The professional caregivers offer assistance to a loved one by doing dishes, taking out the garbage or vacuuming. Does your parent have a prescription medication or need help with pain management? Hiring the professional for your loved one’s home health care in Massapequa they will assess the doctor and create a medical care plan so that you can provide medical assistance at home.